Castle Rock, CO, the largest city and county seat for Douglas County, is located 28 miles south of Denver, CO and 37 miles north of Colorado Springs, CO along Interstate 25. Founded in 1874 it was named after the castle-shaped butte near the town’s center. The majority of Castle Rock is planned communities clustered around the historical downtown area. 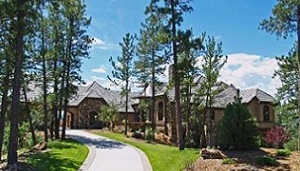 Such neighborhoods include The Meadows, Castle Pines Village, Plum Creek, and Founders Village. The entire city has an incredibly low crime rate, being family friendly and well designed. Parks and open space are about 27% of the town along with about 56 miles of soft and paved trails. You can also enjoy the views from the stunning Castle Pines Golf Club. As for places for employment, the Denver Tech Center (DTC) is located just 15 minutes away and spans through parts of Denver and Greenwood Village, CO holding many businesses and corporations.